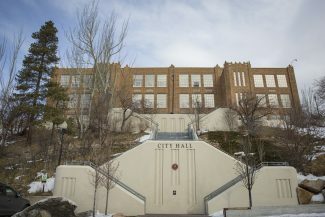 City employees, business owners, residents and other stakeholders met Tuesday and Wednesday to mull over what should be done with a patch of land adjacent to Homestake Road should Park City Municipal purchase it for $6 million. The 18 people who gathered at the Windy Ridge Café on Wednesday evening participated in a discussion on the 2.29-acre parcel located in the south half of The Yard, an area north of the Recycling Center, that turned into a talk about the municipal government’s housing and transportation goals. Lynn Ware-Peek, the city’s community engagement liaison, said the issues brought up were relevant, since a development at The Yard would likely be used for housing and/or transportation purposes. “Everything [that deals with] development, projects, or potential acquisition we do through the lens of the city’s three critical priorities: housing, transportation and energy,” she said. Attendees asked members of the city’s development team about money and potential uses of the land, and about the timeline for purchase. “What we intend to do right now is show up on Dec. 1 at the City Council meeting and remind everybody that our earnest money is going hard and that we’re serious,” Economic Development Manager Jonathan Weidenhamer said. Several participants said they prefer to build a housing development, but Weidenhamer said the development team only plans to express its intent to buy on Dec. 1, not to present any concrete plans. 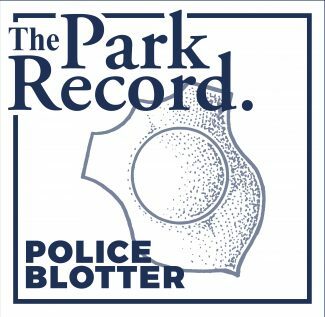 “After the purchase, we will begin a thorough, public engagement process to decide what should go there,” Weidenhamer said. The earnest, or escrow, money of $60,000 from a transit fund will become available to transfer to the seller, 1251 Kearns LLC, on Dec. 9. The City Council would then have to approve a purchase agreement at its Jan. 26 meeting before the $6 million sale could close on Feb. 1. A few people expressed concerns about the approaching deadline for sale, since the purpose of the area has yet to be decided — the city plans on using it for parking, housing, or a combination of the two. “If we end up building a housing-only project, we would reimburse that transit fund with housing money,” Weidenhamer said. City employees are working on renderings of potential plans, but didn’t have any on view for the meeting. Weidenhamer said they needed more public input before completing them. Parkite Tom Fey said the public should be more involved in the decision to purchase. Fey said he also has concerns about who would benefit from a city subsidized parking lot. Weidenhamer and Transportation Planning Manager Alfred Knotts said a parking lot would most likely be for people intending to take the bus to work. It could also facilitate additional public transit routes. 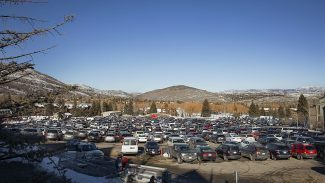 A bus system at The Yard could mean those commuting from Kimball Junction to Park City would be able to do so without making the trip to Old Town. Whether the 2.29-acre plot becomes housing or parking, Weidenhamer and Knotts said one thing is for sure: The already-congested Homestake Road needs to be expanded, especially if a transit system is set in place. The real estate contract of purchase calls for a 67 foot right-of-way. Right now the turn-in is about 30 feet. Most people in attendance said some form of affordable housing should be built. 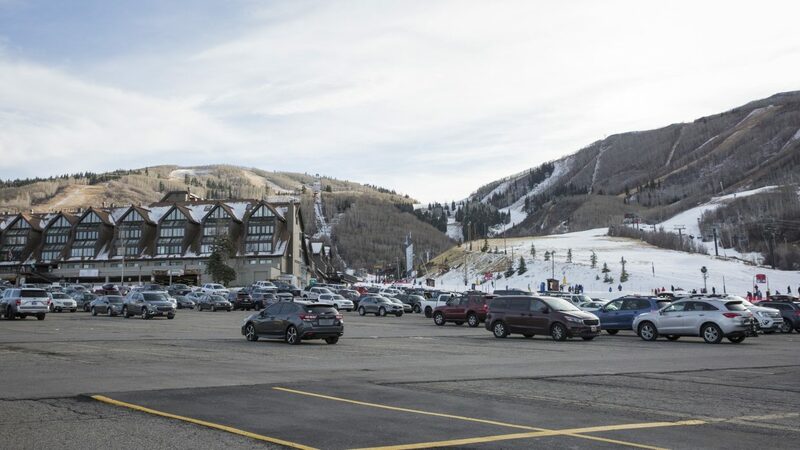 Angela Moschetta, who was there to represent local advocacy group Future Park City, said the land has the potential to be something that can make Park City a more walkable community. She envisions the area to be one with shopping and housing. Moschetta also suggested it could have limited opportunities for parking, but more for public transportation. Sarah Berry, also from Future Park City, stressed affordable housing should be synonymous with workforce housing. 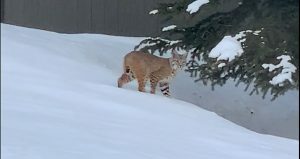 She hopes the land will be developed to provide shelter for the employees that make up Park City’s backbone, the people who are teachers, nurses or electricians. Community Development Director Anne Laurent said the city’s affordable housing is solely meant for the workforce. After hearing more concerns about potential view obstructions, housing for seasonal workers and fears of increased traffic at The Yard, city employees at Wednesday’s meeting told everyone in attendance they would consider their suggestions and worries.